Malathi or Mala, one of the pioneers of the firm, joined the firm in early 1990s attending to a variety of office administration work. 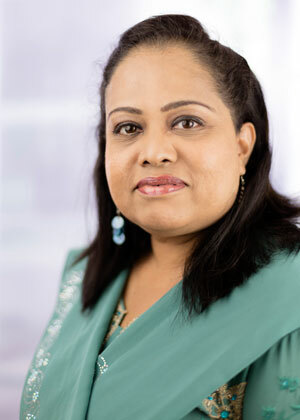 In 1994, Malathi headed the IT team which supervises and manages the company’s file database system. Mala is responsible for operating mail sorting and overseeing the distribution. She ensures that the in-house web-based customized software database of file records and electronic documents are accurate and updated at all times. She enforces strict auditing of hardware and software for licensing purposes for the firm. Two of her favourite hobbies include listening to music and watching movies.